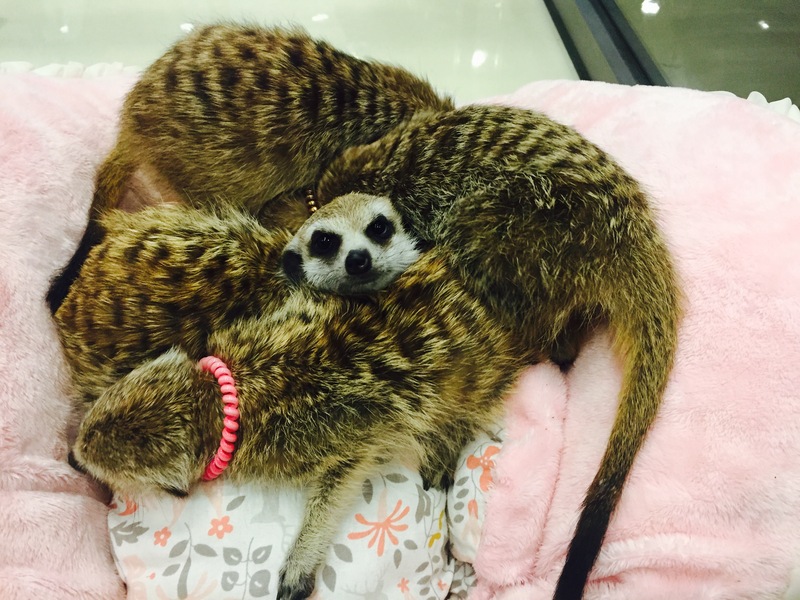 What’s trendy now in Seoul is Meerkats Cafe!! 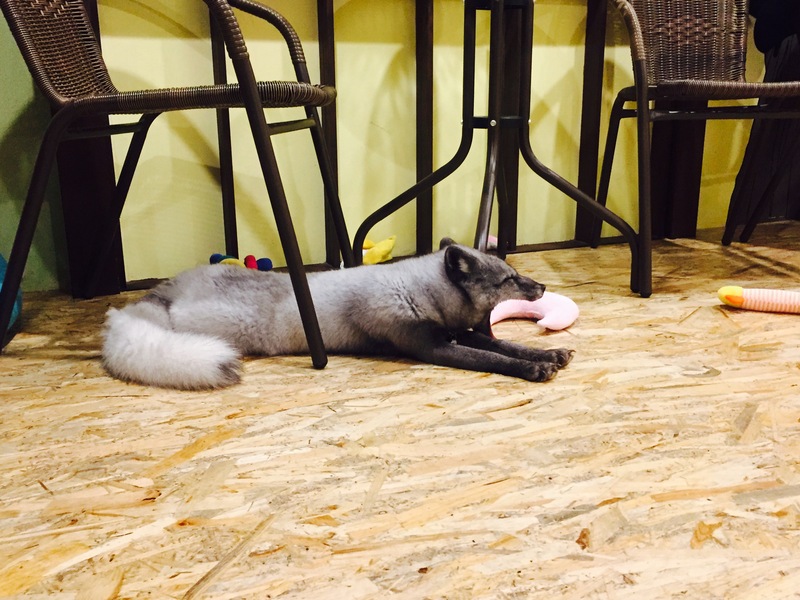 Hanging around Hongdae area, we found this unique Cafe where you can play with meerkats, arctic fox, genet, and raccoon! 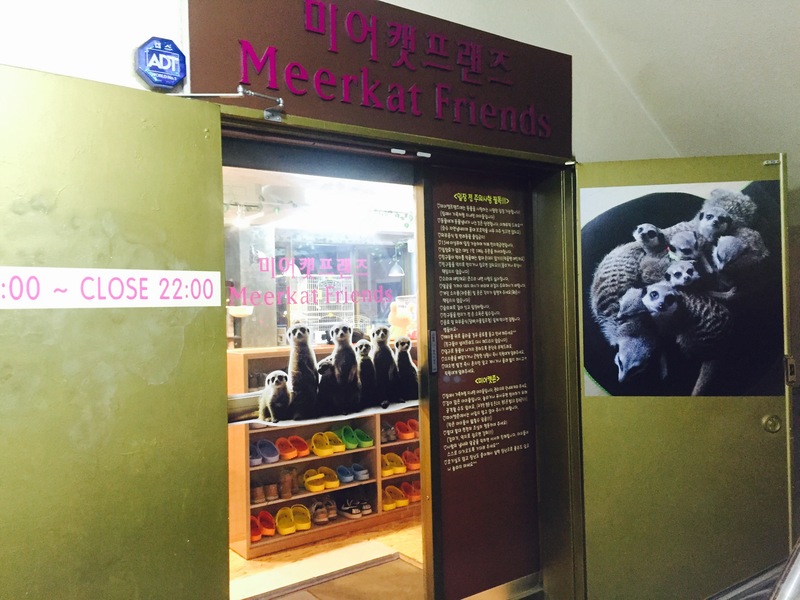 After changing your shoes and ordering one beverage each, you’re free to enjoy a great time with meerkats! 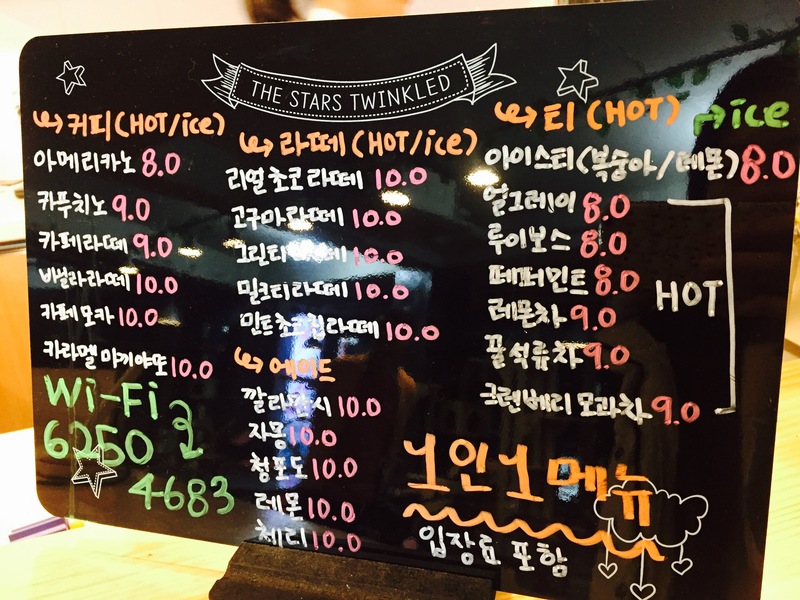 The entrance fee is included in the beverage price, so you have to purchase at least one of the menus, ranging from 8,000 won to 10,000 won depends on what you gonna drink. They offer coffee, ade, and tea. 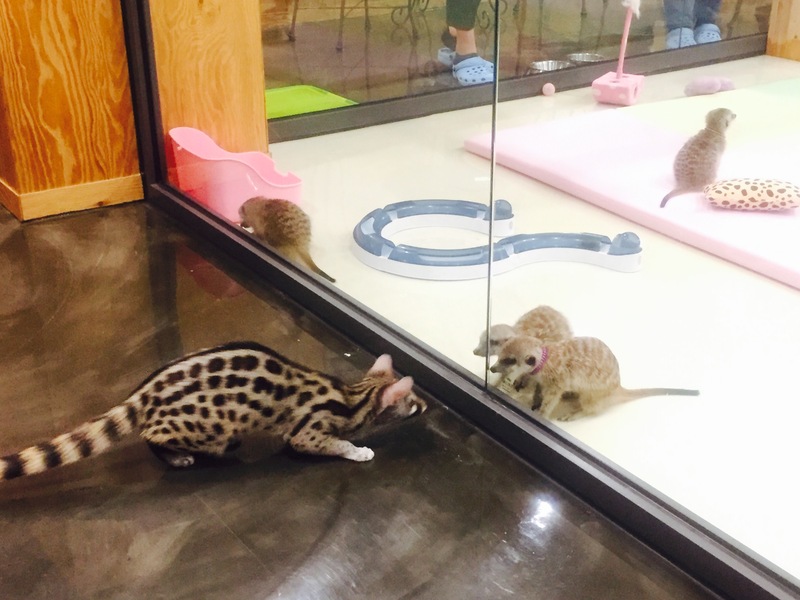 The Cafe Meerkat Friends now owns 12 meerkats, one raccoon, one arctic fox and one genet. 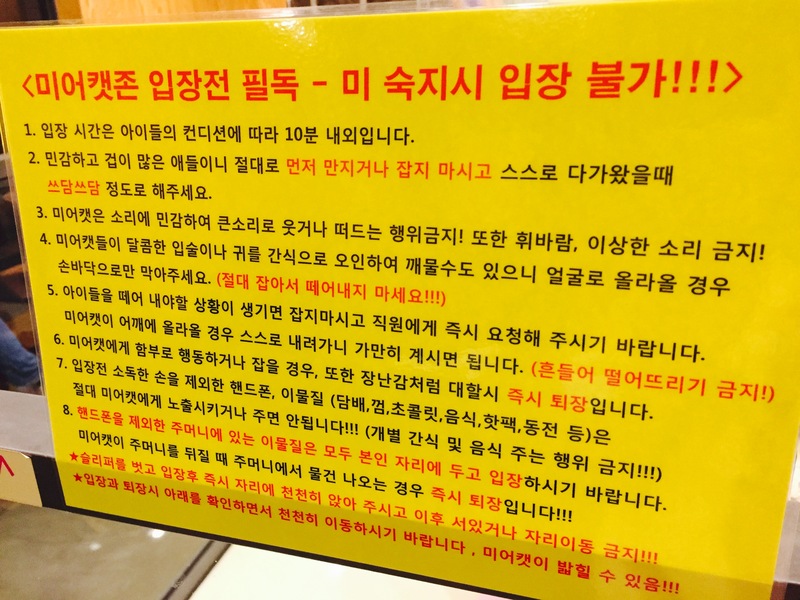 Please notice that they only accept customers above 15 years old. 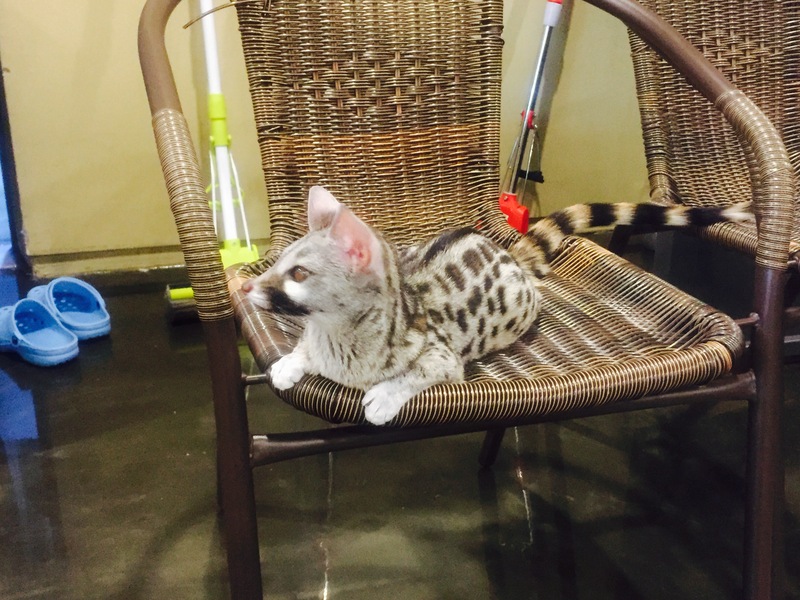 Resting Genet, this baby is agile!! 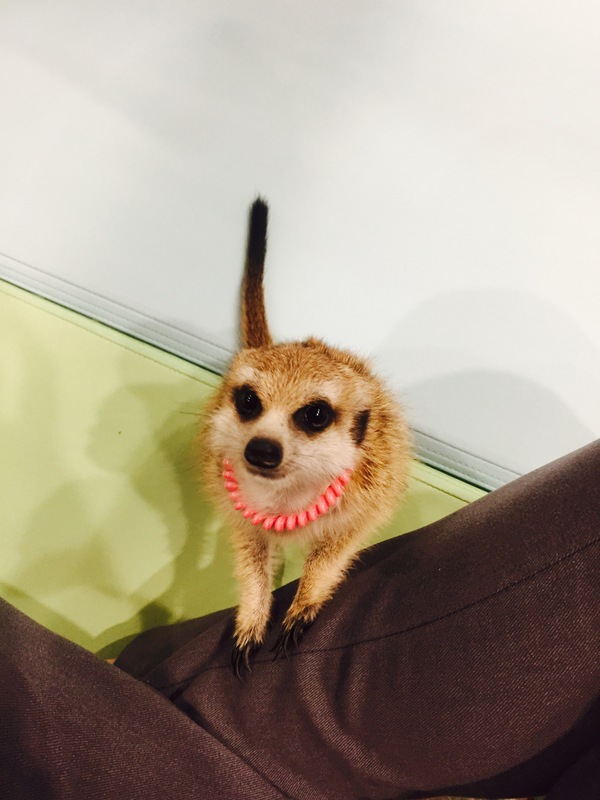 Not only watching them outside, you can actually enjoy a fun time playing closly with the meerkats! They seem curious about each other. 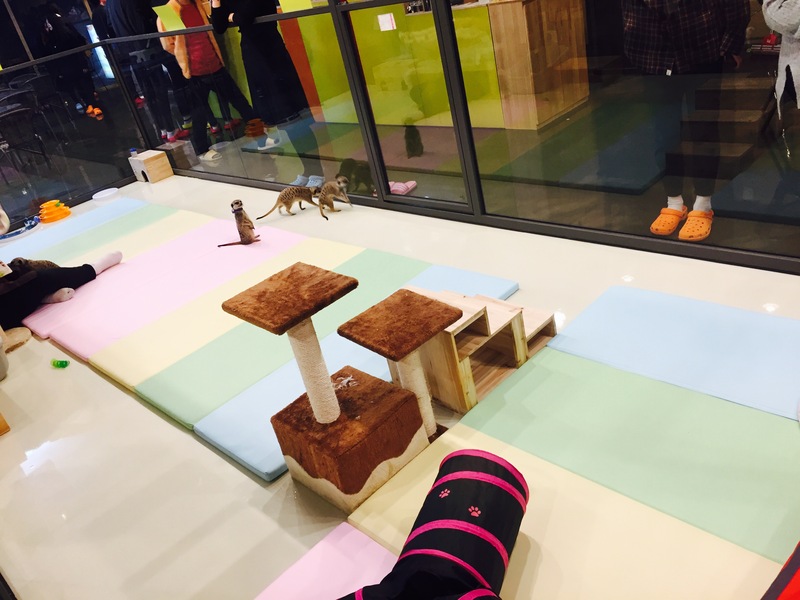 Open Hours: 12:30~22:00 Mon. & Sat.~Sun. ; 12:00~22:00 Tue.~Fri. 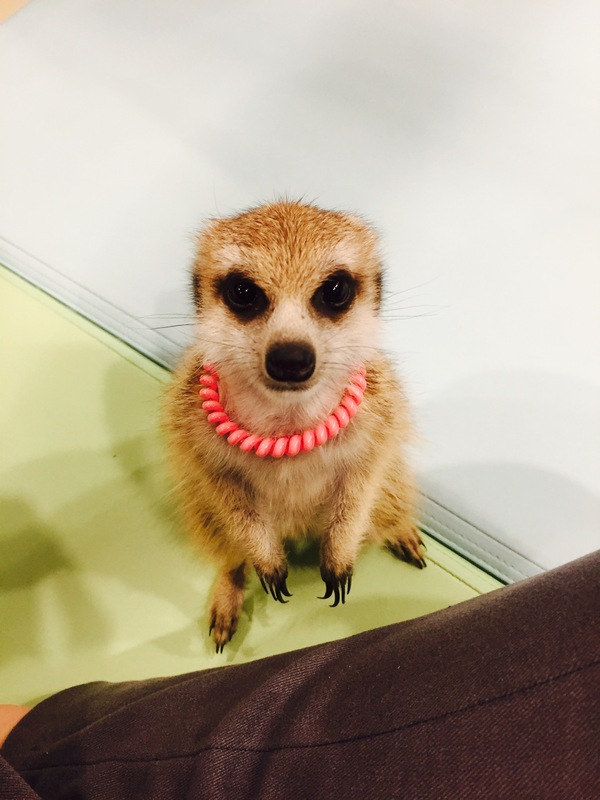 This entry was posted in Activity & Local Culture, BnBHero Insights!, Culture and lifestyle, etc., Explore REAL Korea, Spot, Travelstyle and tagged attractions in Korea, Korea travel tips, meerkat, raccoon, Seoul tour guide, Seoul travel, Theme Cafe, Themed Cafe in Korea. 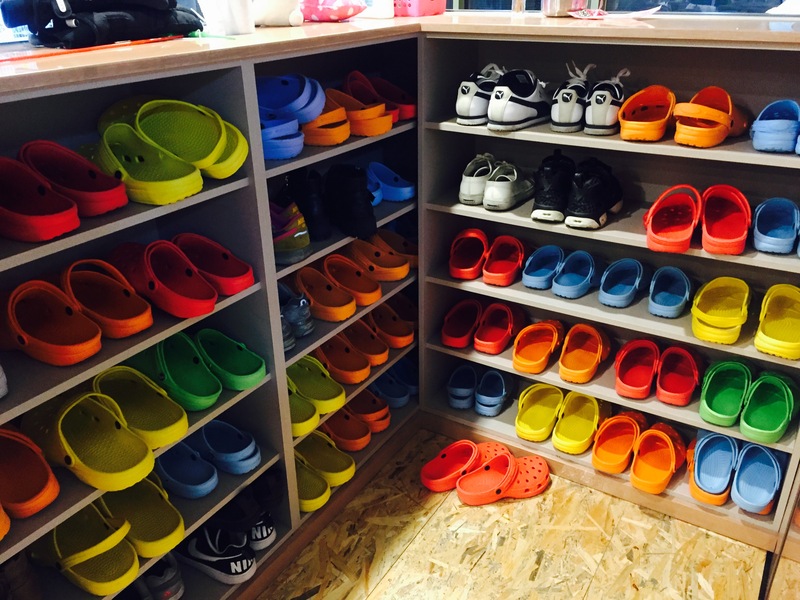 This place WOULD have been cool, IF they allowed children! Staff was rude to my wife and kids. We will be doing a full write up and video.